The Heritage Village in Gingerland is expected to come alive on Saturday, July 11th, 2009, with a special Pre-Culturama activity dubbed Ginger Expo. â€œThe activity which will expose the cultural and culinary talents of Gingerland is a collaborative effort of the Ministry of Tourism, the Gingerland Agro Tourism Project (GATPRO), and various stakeholders in Gingerland,â€ said Mr. Eric Evelyn, Department of Agriculture- Communication officer. GATPRO is an initiative spearheaded by the Inter-American Institute for Co-operation on Agriculture (IICA) through the local Representative for the Federation, Mr. Augustine Merchant.Â The Project aims at strengthening the bond between Tourism and Agriculture as well as to foster Community Tourism in the Gingerland area. Ginger Expo will see a packed day of activities and will include performances by the Rawlins Masqueraders, the Joycelyn Liburd Primary School Maypole Dancers and the Iron Bands of Gingerland.Â There will also be a parade of past queens of Gingerland. A domino competition as well as a conch shell blowing demonstration will also form part of the dayâ€™s activities. A major part of Ginger Expo will be the culinary aspect.Â A host of local dishes and beverages will be on hand as representatives from the different areas of Gingerland showcasing their cooking skills.Â There will be two cooking demonstrations-dumplings and salt fish as well as ginger sugar cakes. Patrons to the event will be entertained by D.J Wenty and the Exhibit Band, which includes a number of young talents from Gingerland.Â The band will be making its debut public appearance at Ginger Expo. 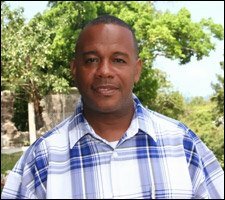 According to a press release from Eric Evelyn, The Ministry of Tourism, GATPRO and the stakeholders involved are extending a special invitation to the entire Nevisian public to go, support and be a part of the family oriented activity. Ginger Expo will run from 10am until – ?